This past October, Hope and I were lucky enough to be invited to travel to Kansas City, KS with our good friends from Red Valley BBQ to help them compete in this years American Royal World Series of BBQ. It was a week long adventure with numerous culinary adventures. The trip out to Kansas City started early one Saturday morning and was broken up over two days. 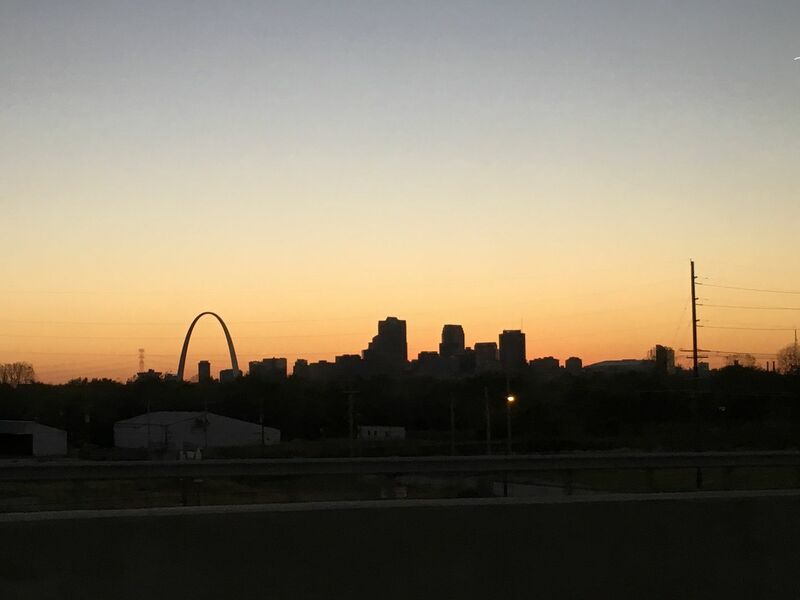 We spent the first night in St. Louis. I told everyone that I did not care where we ate during the whole trip. But, I wanted to try out this St. Louis Style Pizza that I had read about on the Internet. So, on night one of the great BBQ tour, we had pizza for dinner. Go figure. 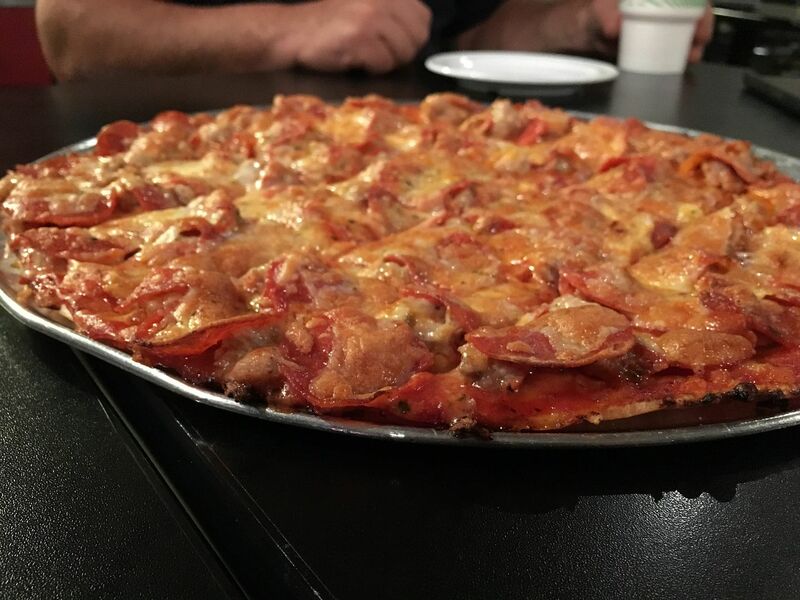 What is a a St. Louis Style pizza you ask? Well, it is a pizza made with a dough that does not contain yeast. Also, when they slice the pizza, it is done so by cutting squares out of a round pie. Crazy. After some consultation with some BBQ friends that used to live in St. Louis, we were steered towards Imo's Pizza, a local chain of some renown. Other than the dough, the St. Louis pizza is just like any other pie. Red sauce and any topping that your heart desires. For one pizza, I chose bacon and hot banana peppers. The other pizza was a traditional pepperoni and sausage. The sauce was perfect. Savory with just a hint of sweet. Almost like Pizza Hut from my younger years before they changed their recipe and added a boat load of sugar. As for the crust, this pizza is the ultimate thin crust. Very crisp, very tasty. The topping to dough ratio is about 50:50. Due to the lack of dough, you could probably down a whole pie on your own. You definitely do not feel bloated walking away from the table after eating this pizza. The best description of this pizza I heard was that it was like eating a pizza made on a saltine crust. 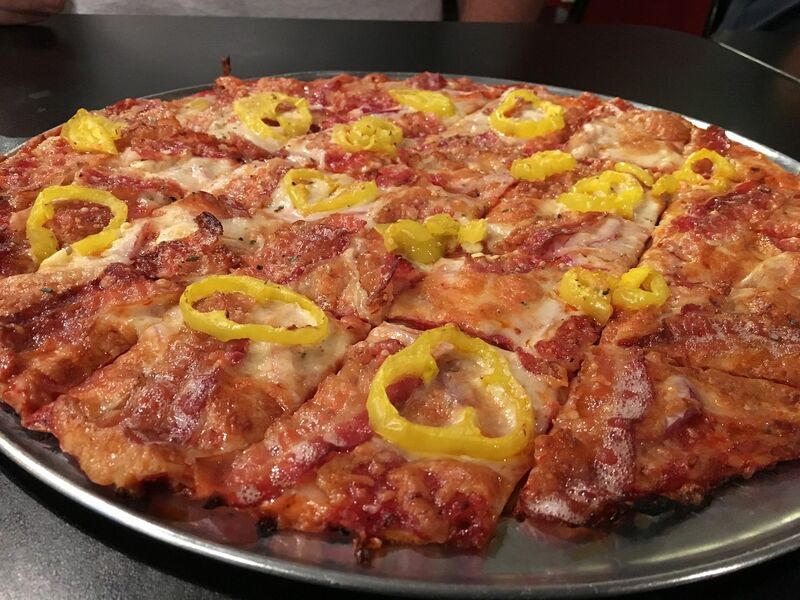 Overall, I give Imo's and the St. Louis pizza experience four stars out of five. Stay tuned over the next few weeks. We will be reviewing some of the traditional hot spots on the Kansas City culinary scene.